Arguably the greatest ball striker in the history of golf, Moe Norman is one the game’s true legends. Before turning professional in 1957, Norman won two-straight Canadian Men’s Amateur Championships in 1955 and 1956. As a professional, he won the PGA Championship of Canada twice (1966, 1974) and captured the PGA Seniors’ Championship of Canada a remarkable eight times—including a run of seven in a row from 1979-1985. He also represented at the World Cup in 1971. 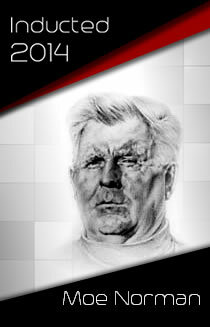 Norman was inducted into the Canadian Golf Hall of Fame in 1995 and the Canadian Sports Hall of Fame in 2006.